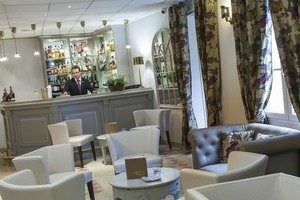 Split on 2 buildings, the ancient hospice of Chablis and the Residence house, this 4* hotel offers a charming and relaxing setting. Its high quality services and comfortable rooms will ensure a refined and unforgettable stay. Hostellerie des Clos is ideally located in the heart of the village of Chablis, close to the Town Hall and is the perfect base from which to discover the vineyards of Burgundy. Auxerre is only 20 minutes away. Dijon can be reached within an hour and a half. The iconic city of Paris is only two hours away by car. This hotel offers a warm and refined setting, with spacious lounges to enjoy. It has a vibrant terrace to enjoy in the summer months and a charming fireplace to tempt guests in the winter. The restaurant boasts fine dining alongside its extensive collection of wines selected from 900 vineyards, 400 of which are Chablis. 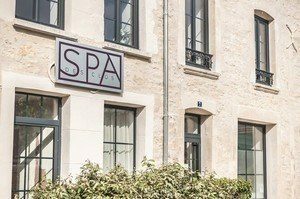 Hostellerie des Clos also offers a sauna, a fitness centre, a meeting room and free WIFI internet access for guests. Each of the 36 rooms are personalized and decorated with the greatest of care. The harmony of tones, association of traditional wood, stone, and the warm fabrics in shades of red, make the rooms at this hotel a place where you will feel relaxed and at ease. Grape Escapes guests will choose from Standard, Comfort, Grand Comfort or Superior (not in the main building) rooms all with en- suite facilities and are equipped with air-conditioning, heating, a large bed, a hair-dryer, a minibar, safety deposit box and a flat-screen television television.